Our final student exhibition showcases artwork created by Florida Southern’s own senior studio art students. 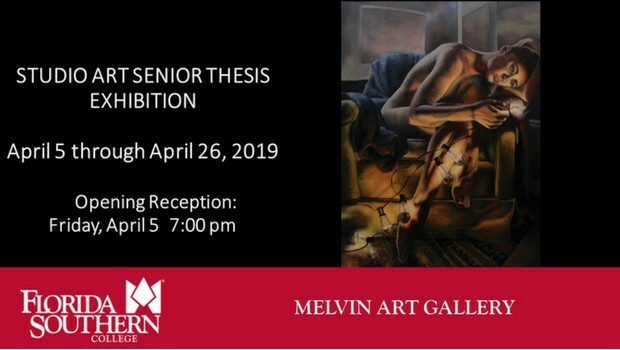 Each senior explores a unique central idea over the course of a year and creates a thematic body of work that conveys the technical and experiential nature of artist expression and creation. The results of their refreshingly artistic individual approaches to studio art production are celebrated at the opening reception, culminating with the presentation of the John R. Reuter Award. Opening Reception: Friday, April 5 – 7:00 p.m.